How do you get a six pack? How do you get those abs of steel? That is what everyone wants to know. And the way most people approach it is wrong. This post may be disappointing to some and for others it may be an eye opener. But it is the truth. To get visible abs like a fitness model or one of those infomercial models takes a lot more than the latest ab gadget (they don’t work and are a complete waste of money). To get those abs you need an entire whole body transformation. 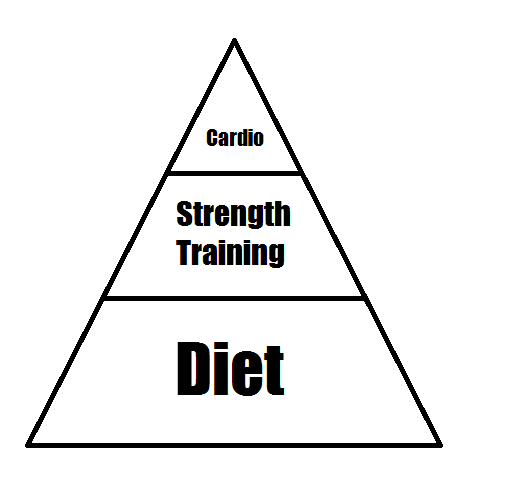 And this requires a long term commitment to a careful diet, progressive resistance training and some cardio. Basically it is hard work. First of all, everyone has abdominals, abs, six-pack or whatever you want to call it. Whether it is the fitness buff in the gym, the obese guy on the desk or the skinny guy running a marathon we all have a six-pack. The only difference that determines whether the abs are visible or not is the fat layer covering the abdominals. In other words, we need to lose the fat to get visible abs. How do I get the abs? That’s because for the most part you can’t spot reduce. You cannot burn fat from a specific area. The best way to think about fat is as an entire organ. Your body burns fat from all over the place, and for the most part you don’t have control over where you will slim down first. Diet is the most important factor in reducing your body weight. Strength Training ensures you maintain muscle, making sure that the weight you lose is mostly fat and not muscle. Cardio burns extra calories, making dieting easier. Unfortunately most people approach six pack training the complete wrong way. 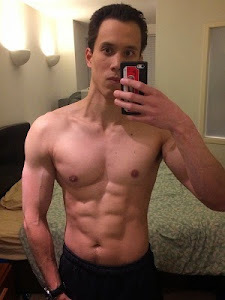 They either fruitlessly do endless repetitions of crunches in hopes of spot reducing or defining their abs or they approach their fat loss in the opposite manner: doing mostly cardio, a little strength training and little/no dieting. This is a very inefficient way to lose fat. Should you do hundreds of crunches? Any muscle definition or “tone” comes from the right nutrition, strength training and cardio. Endless crunches may give you great muscle endurance but it won’t do anything for that six pack. Anyone who has a six pack and does crunches got the six pack in spite of crunches not because of them. Hope you enjoyed the article, it ended up being a long six pack as well as fat loss article. Hope you learnt something new, apply what you learnt and hopefully I didn't upset anyone with the facts. Until next time. Hi my name is Jim and I’m a personal trainer and nutrition consultant. Welcome to JimTraining, the leading place for all things calisthenics, performance and physique nutrition, and practical science based training. ©2015 Jim Carlsson. Picture Window theme. Theme images by Xaviarnau. Powered by Blogger.